It is with very great sadness and a heavy heart that I have to inform you of the tragic passing away of our Wittenborg student and our former colleague Debbie Kuang. After a terrible struggle, Debbie has found peace. 21st May 2012, 11:32pm - Debbie’s brave fight against cancer ended this evening, at the hospice Casa Vera where she spent the last days of her life in Epe, a small town to the north of Apeldoorn. Debbie’s Mother Wang Shuyun, Wittenborg Director Maggie Feng and Lecturer Henry Muusz were at her side today. Debbie was born in Hunan, China and left the family home at an early age to work in Beijing, where she learnt of the possibilities to study abroad, and increase her chances of a prosperous life, something that her family was not used to. She worked for 8 years, saving money and then with the help of her employer came to study at Wittenborg, arriving in Deventer in January 2006. Her determination and drive to make a success of her life was clear from the outset - Debbie took part in an active student life, both inside and outside the classroom - and even her Karaoke skills were renowned! Towards the end of 2006, Debbie was diagnosed with breast cancer, and started her first period of treatment, which included an operation. Debbie restarted her studies in 2007, picking-up her aim to reach the dream of achieving her degree as planned. In 2008 Debbie became an even more familiar face at Wittenborg, now as a colleague completing a period of internship, running the international student front desk, and assisting new students with their intake formalities, of visa, insurance and other such matters. 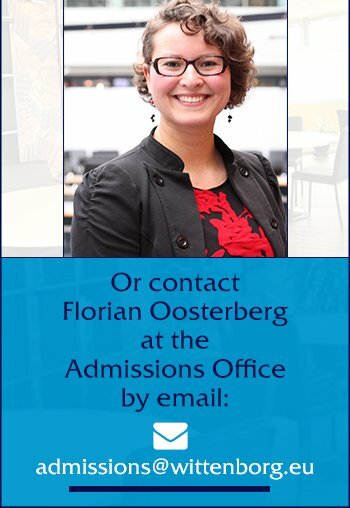 Many students who started at Wittenborg in the fall of 2006 and during 2007 remember Debbie completing the first intake sessions, helping with the formalities of becoming a foreign student in Holland. Sadly, in 2010 cancer was once again diagnosed, and this time it was an aggressive form of sarcoma. Since 2010, Debbie courageously underwent many operations and many chemotherapy treatments, the last of which was stopped earlier this month. From that time, she has been living at the home of Wittenborg teacher Henry Muusz and family, in Epe, who have looked after her as one of their own children. Although Wittenborg arranged for Debbie’s family to visit her in 2010, she had not seen them since that time, and had remained insistent on staying in Holland to finish her studies; however this became increasingly more difficult. 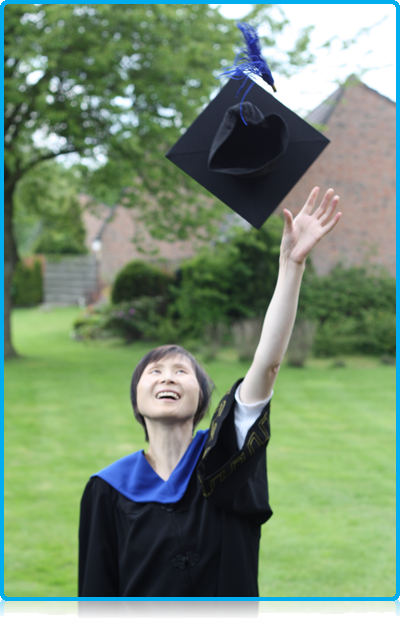 In 2011, Debbie came back to school to do some work internship, to help take her mind off her fight, and even made a graduation plan with her tutor only a few months ago, and continued to upload papers in January! Two weeks ago, it was decided by Debbie’s doctors that even the last possible treatment was not working, and that there was nothing more they could do for her. With the kind help of Henry and his wife Ineke, Debbie moved into a Hospice in Epe. Wittenborg immediately set about arranging flights and visas for her parents and sister. Her mother arrived last week, but sadly due to the IND offices in The Hague being shut last Friday, Debbie’s Father and Sister will arrive tomorrow. In the past days, Debbie has been visited by students, staff and friends, and last Saturday she was quietly presented with an honorary degree from Wittenborg, by directors Peter Birdsall and Maggie Feng. Maggie has spent many hours with her in the last days, listening to her stories about her past and talking about her wishes now at the end. Debbie’s pleasure at receiving her degree cannot be described in words. During the emotional occasion, Debbie emphasized her wish that Wittenborg continue to grow and always support students from developing countries such as herself to have the chance to study at the school, graduate and become successful. She requested that her name be used to promote Wittenborg’s education to students from poorer backgrounds in developing countries, and that others could benefit in the same way that she did. Wittenborg would like to express its deepest thanks to the many people who have helped and assisted Debbie during her fight and at the end. This importantly includes all the doctors and medical and hospital staff, and especially Frank and Pia, who took care of Debbie’s medical support (and much more) in the early years. Henry and Ineke who took Debbie into their home and cared for her in the last years. We would like to thank AON insurance for their care and support during the past 5 years. Special thanks go to staff at the Dutch Embassy in Beijing and at the IND here in the Netherlands for going out of their way to enable the visa process for Debbie’s Mother to be with her. We would like to extend our thanks to all staff and students and friends of Wittenborg for their support in this difficult time.